Ashok Gupta is a self-recovered CFS patient and economist-turned-CFS-health-practitioner. 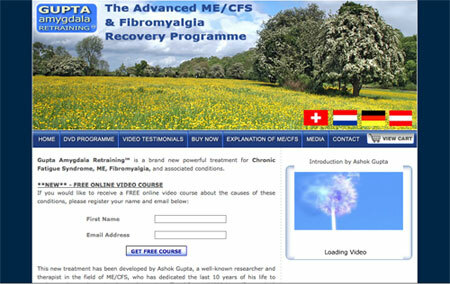 After becoming chronically ill himself and getting nowhere with traditional treatments, Ashok spent years researching the “fight or flight” center of the brain and studying neuro-linguistic programming, meditation, and breathing techniques to develop his Amygdala Retraining™ Program for CFS, ME and related syndromes. His theory received attention after being published in a peer reviewed medical journal in 2002. Julie Genser, founder of PlanetThrive.com, recently had a cross-Atlantic Q & A with Ashok to discuss his CFS treatment approach and explore its implications for fibromyalgia, gulf war syndrome, chemical sensitivity, autism, mold illness, and lyme disease. JG: Hello Ashok. First off, I’d like to congratulate you on recovering yourself from CFS and then going on to develop your theory which now holds the promise of changing so many people’s lives. How many years ago did you get CFS, and how old were you at the time? AG: I got it around 13 years ago, and I was 21. JG: What was your life like during the worst of your bout with CFS – did you have symptoms other than extreme fatigue that presented as other illnesses and may have confused your diagnosis? How long were you debilitated by CFS? AG: I was debilitated for 3 years, but probably would have had it longer had I not figured out what was going on in my brain. I had all the classic symptoms, and was diagnosed by an NHS CFS Specialist Unit in the UK, having excluding all other possibilities. I had severe physical/mental exhaustion, sore throats, post-exertional malaise, pain in joints, difficulty concentrating/memory, and many others. JG: What sort of traditional, mainstream treatments did you try, and were they successful or able to provide any relief at all? AG: I was put on anti-depressants by my doctor, but they made me feel worse. JG: Did you have a support system or know others suffering from the condition? Did your friends and family understand? AG: My family was supportive, but the only contact I had with others with the condition was over the Internet. JG: How did you deal with all the stress caused by your symptoms and by the lack of understanding from the medical world? Were you able to participate in any aspects of life? AG: It was very difficult. I tried to do what I could at University, and even tried to hide my symptoms from others. JG: In your videos it is clear you harbor no anger toward friends, family, or doctors who may have misunderstood your experience and labeled you as depressed, or said that the illness was “all in your head.” Were you always that way or was it a process for you to be able to forgive those around you? AG: It was a process, realizing that others weren’t to blame, it’s just a lack of understanding of the condition. JG: The fact you were able to do that probably saved you a lot of angst that others deal with throughout their illness. It must have been difficult for you to research the condition while suffering from its debilitating symptoms—how did you do it? AG: Well the internet is a wonderful tool (!) and there is a lot of easy-to-digest material there. It was only once I started feeling a bit better that I was able to start my research properly. JG: That makes sense. Can you share what the path of research was that you followed to get from point A to point B in terms of figuring out how neuro-linguistic programming (NLP) might be of help to those with CFS/ME and related illnesses? This was an area completely outside your original field of study, wasn’t it? AG: It all changed by reading The Emotional Brain, by Professor Joseph Ledoux. I then read lots of CFS literature, and wrote my hypothesis in 2000, which was eventually published in 2002. I had spent many years training in these therapies, and then opened my own clinic in 2000-2001. I have spent the last few years refining the therapies to make them as effective as possible. JG: Aside from your CFS clinic in London, I’ve read that you also own a Corporate Training company, speed-dating website, and a Stress Management Clinic. This, added to the fact that you studied economy and not medicine, has some naysayers saying you are just an entrepreneur trying to make money off of sick people. Can you address this? AG: Years ago I ran a speed dating company with a friend. It was always a part time thing and was great fun! I sold it in 2006, to focus full time on the work at the clinic. Currently I have a clinic in London where most of my patients are ME/CFS patients, and I also see people for anxiety, stress and related disorders. I also run Corporate Training in Time Management and Stress Management. But the majority of my time is taken up at the moment with securing trials, and letting more people know about the DVD program. JG: Did you have help with your research or did you work completely alone? AG: I was working completely alone on this. A lot of breakthroughs came as I was just trying to figure out what was going on in my own brain. …I think fear is the wrong word to describe amygdala conditioning with respect to ME/CFS and Fibro. Instead it is defensive conditioning, defending the body against threats which are not necessarily emotional in nature. JG: In an earlier response and in some of your writings, you mention the work of Joseph Ledoux, a neuroscientist who studies emotional memory, and how the brain learns and stores information about danger. Was it his work in classical fear conditioning that helped you form your theory? How did you discover his work, and did you ever consult with him to discuss his research? AG: I discovered his work by accident, and then read many of his papers and his book. I did send him my findings, but at that time he was too busy to take it further, although he certainly showed interest. His work was in fear conditioning, but now I think fear is the wrong word to describe amygdala conditioning with respect to ME/CFS and Fibro. Instead it is defensive conditioning, defending the body against threats which are not necessarily emotional in nature. JG: How are emotions implicated in the cycle of amygdala hypersensitivity you are describing? AG: Amygdala hypersensitivity to bodily sensations and symptoms increases it’s sensitivity to emotional threats as well. JG: You are marketing your theory for CFS and ME yet you say it can be used successfully for fibromyalgia, gulf war syndrome, multiple chemical sensitivity, and related illnesses. What is the full list of illnesses this protocol might be helpful for? What about seemingly unrelated conditions like childhood asthma and allergies—or are those purely immune regulated? AG: Currently I am only marketing for ME/CFS and Fibro because these are the conditions I have worked with for years successfully. The other conditions are often co-occurring conditions, and these also ameliorate as a person recovers. I would like to test the program with pure MCS, IBS, GWS, PTSD, and Lyme Disease, as I suspect the program will help these conditions as well. JG: A few months back, I saw an article on your protocol but because it specified it was only for a subset of CFS patients—and I don’t have CFS—I did not pay much attention. Luckily I saw this second article that was more explicit. Why not actively advertise for all those conditions so you can reach a much wider market and help more people—is it because you have not conducted studies of those particular patient populations? Are more studies planned—for which patient populations? What can Planet Thrive members do to help facilitate your getting funding to conduct full double-blind testing on this protocol? Is there somewhere we can write, a petition to sign? AG: As mentioned, I have not conducted work with these patients so I am cautious about claiming that it can help those other conditions. If the condition is in addition to ME/CFS and Fibro, then that’s ok. I would love to conduct further research with other conditions, what it would take is for existing researchers in this area to take an interest in what I am doing, and then fund some pilot studies. So your members could help by informing their doctors/institutions about my work, and encouraging them to think about conducting trials. I am prepared to offer some of my time for free to institutions if they are prepared to organise the trials independently. JG: There are those that count CFS and ME as two separate conditions; they say that ME is a distinct neurological illness of enterovirus (possibly XMRV retrovirus) origin which does not have fatigue as a defining symptom, while CFS is a bogus, catch-all diagnosis (essentially a “non-diagnosis”) for fatigue-related symptoms that might stem from widely ranging causes. Do you agree, and if so, would your protocol still work for both conditions? Could the percentage of people who do not benefit from your program be people who have a different illness that presents with some similar overlapping symptoms but actually does not involve the amygdala hypersensitization? AG: People may make these claims, but in fact the evidence for this is not clear at all. 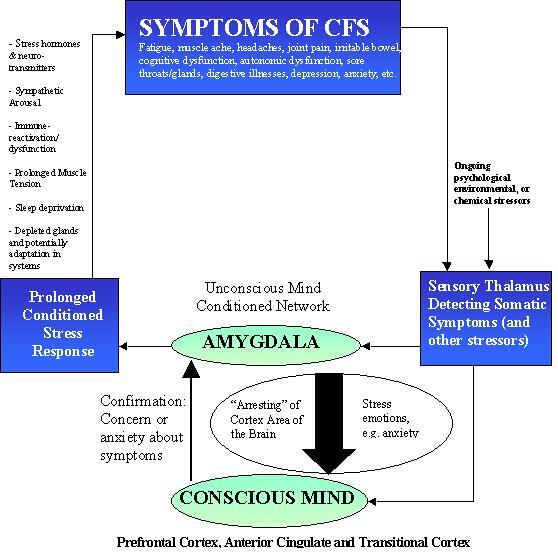 I believe that “ME” is the extreme form of “CFS”, where the amygdala cycles are so intense that they mimic the effects of neurological disease. So overall it is a scale right from people who have mild CFS and can function normally, right through to people who have “ME” where they can hardly function and are bed-bound, with serious neurological issues. But right across this spectrum, I believe it is amygdala conditioning which is the cause, and that the severity of the illness simply represents the acuity of the conditioning, and the intensity of the sympathetic and immune response. I believe this because I have seen people recover with my program right across this spectrum, even when they had seen themselves fit into widely different categories. JG: Does the recent discovery of the XMRV retrovirus in the blood of close to 100% of ME/CFS patients affect your theory in any way? AG: The XMRV findings are very interesting, but patients need to be cautious about what this means. Because over the last 10 years there have been many similar announcements about opportunistic infections in the blood, but none have ever proven a direct link. I have written a draft medical paper about this, about how the Amygdala Hyperarousal Model fits with the XMRV findings. In a nutshell I believe at this stage that XMRV is yet another opportunistic virus and probably does not cause the illness. However further research is required. Chronic sympathetic stimulation is likely to cause the immune system to be heavily compromised, allowing opportunistic viruses to flourish. Fix the underlying cause, and the immune system can go back to balance and fight off these infections easily. So if the XMRV findings are correct, I am sure that many of my patients may have had it in their blood streams, but recover from the illness by bringing the body back to its natural homeostasis. JG: Research shows that Japanese encephalitis impairs the progression of neural stem cells in the brain and thus prevents brain repair. Is it an overgeneralization to say that all brains have the same capacity for neuroplasticity, or might some people’s ability to repair the brain damage caused by virus-induced ME/CFS be impaired in a way that makes your retraining approach ineffective? AG: This is a good question. I am not sure if it would impair it, in my experience one of the main impairments to retraining is in fact when someone feels very emotionally down and depressed about the illness, therefore does not have the will power to keep up the commitment. There is evidence of lower brain volume in the prefrontal cortex areas in ME/CFS so that may have an effect on retraining. As usual, more research is required! 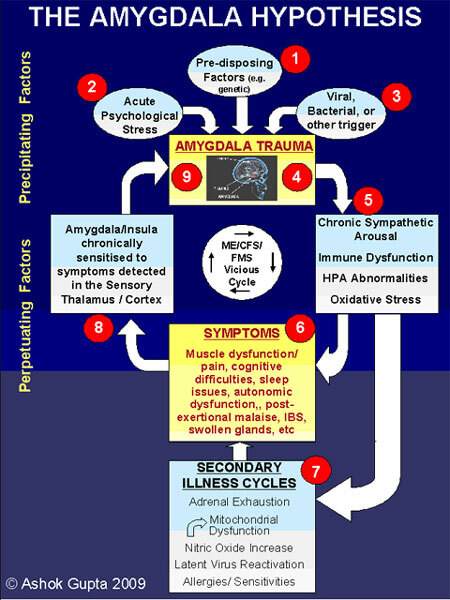 JG: In your article “Ashok Gupta Explains the Amygdala Retraining™ Program for ME/CFS/FM and Associated Illnesses” you state that all these illnesses share trauma to the amygdala—the “fight or flight” center of anxiety and fear in the brain—as their common basis. With ME and CFS, the trauma is most likely viral infection. In the case of fibromyalgia, a physical accident (such as a car accident) is commonly a precipitating event. With MCS, the trigger may be an acute or low level long-term exposure to a biological or synthetic toxin. Is your program essentially a “brain rewiring” program that enables the brain to recircuit itself, forming new neuronal pathways around a damaged area in the amygdala? How are others areas of the brain involved as well; you mention the insula, thalamus, prefrontal cortex and hypothalamus in your articles. AG: Yes! Brain rewiring involves a new neuronal projection from the pre-frontal cortex (which often has around a 10% lower volume in ME/CFS), to the amygdala, to control it’s responses. There is evidence of this in animal studies done by various neuro-scientists. 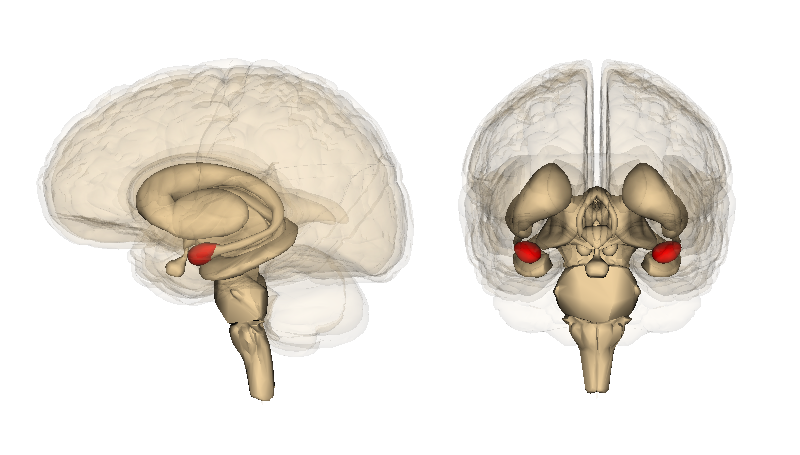 The insula is involved in giving the amygdala a representation of what the symptoms mean – the jury is out as to whether this part of the brain is also rewired, or whether it is just the amygdala. JG: Once the brain is rewired, what happens with underlying infections that may be present – lyme, viruses, mycoplasma, etc.? What about any immune conditioning that has taken place—does this eventually resolve on its own, are there exercises for that, or is this something we must accept and live with? AG: When the body is in sympathetic mode due to hyper-arousal by the amygdala, the immune system becomes imbalanced, and may become down-regulated or up-regulated inappropriately, allowing opportunistic viruses to flourish. Patients report that these return to normal after amygdala retraining. Once the amygdala has been retrained, the parasympathetic system kicks in and allows the immune system to return to its normal balance, and deal with these underlying infections. Professor Garth Nicolson has recently found similar levels of chronic viruses in the blood of people suffering from Autism, to that of the blood of ME/CFS patients. Autism has also been linked to amygdala hyper-arousal. So this shows that ME/CFS patients are not unique in this regard. JG: How would you explain the occasional cases where people recover from chronic illness after taking antibiotics—what does that have to do with neural plasticity? AG: If at that point in time it is the opportunistic infection which is causing the majority of the illness, then dealing with this may help people recover. But in my mind this represents a real minority of cases, most patients I have spoken to have not had that much benefit on antibiotics or anti-virals. JG: I understand that you don’t feel that there is permanent brain damage causing the conditions you are targeting, but more of an ongoing neurological over-stimulation. That seems very hopeful. Do you think there is a genetic aspect to the illnesses your work focuses on? If so, could the genetic predisposition be caused by a toxic environmental exposure during one’s lifetime—by a pesticide, for instance? JG: Based on your theory of this potential cure, are there risk factors people should avoid, or lifestyle practices people can adopt, to help prevent these disabling conditions from occurring in the first place, or from reoccurring? AG: Reducing stress is important, as well as maintaining a healthy lifestyle, and not pushing beyond one’s physical boundaries stress-wise. Whilst there are commonalities, my program is not suitable for autism as the causes of the amygdala arousal are completely different. JG: Once healed of their illness, will people be more—or less—vulnerable to reacquiring this type of disorder when exposed to a viral, bacterial, or other trigger? Would your program be as effective again? AG: Yes, occasionally this does happen whilst the brain is still sensitive after retraining, but people can make permanent changes as well so it never needs to be a problem again. JG: In your medical paper, you mention that those with ME/CFS and those with Autism Spectrum Disorders both have higher incidence of multiple, systemic bacterial and viral infections compared to controls, and that both ME/CFS and Autism patients had very similar levels of active infections. You go on to say that “Autism is a disorder where sustained amygdala hyperarousal is accepted as a model for partly explaining the disorder”—does this mean that your protocol might be helpful for those with Autism? Due to the nature of their illness, would autistic children even be able to follow the program? AG: Whilst there are commonalities, my program is not suitable for autism as the causes of the amygdala arousal are completely different. With autism they are born with it (although I’m not an expert), whereas in ME/CFS it has been conditioned –very different. JG: Some children are born chemically sensitive. Do they fit into your theory—what is their originating trauma? Is it practical for infants, children, and teens to do your program? AG: I wonder whether the sensitivities were developed genetically or because of being in the womb, where sensitivities are inherited. Teens can do the program themselves generally with guidance from their parents. For children, we have no specific program, but will look to develop one. Instead we encourage the parents/guardians to learn the program themselves, and then teach their children the specific techniques, or watch the DVD together with them and interpret. JG: There seems to be much fewer cases of these types of illnesses in third world countries. Are the brains of people who live there any different—how would you explain the difference? AG: Interesting question! I think that it is a confluence of different factors that make it occur more in Western countries – and I think part of it is pushing beyond one’s boundaries, never taking time to rest. I do think that it is much more likely that a stressed office worker will contract ME/CFS, than a farm labourer in a third world country. It’s a controversial view! JG: Do you feel that an aspect of keeping the amygdala in a state of constant hyper-arousal has to do with an individual’s emotional reaction to having overwhelming symptoms? How do stress hormones or autonomic function factor in? AG: I think it would be best to read my hypothesis (or the layman’s explanation) to understand this, as it is a big question. JG: In “The Brain That Changes Itself,” Norman Doidge, MD shares an example of how Freudian psychoanalysis can be used to physically rewire the brain. You state on your website emphatically that your treatment is not psychotherapy. Do you believe that traditional “talking cure” psychotherapy has any place in healing the over-active amygdala or changing brain function, or do you see it more of a remedial, band-aid approach for the conditions we are discussing? AG: Traditional talking therapies are like using a fire extinguisher to put out a house fire. If the house fire is small, the fire extinguisher can put it out quite easily. But if the fire is huge, the fire extinguisher will only have a small effect. Amygdala retraining is the fire engine that comes and is able to put out the majority of house fires easily. The severity of the fire relates to the severity of the trauma in the amygdala. JG: I am particularly interested in how your retraining can help those with chemical sensitivity (MCS). One theory of MCS posits that damage to the blood brain barrier is responsible for sensitizing susceptible individuals. Do you agree with this concept and is it possible to rewire or repair the blood brain barrier with your program? AG: When a person is under severe stress, where the sympathetic nervous system is dominating, a person is more prone to these kinds of effects you describe. The program is not repairing these systems directly, it is allowing the parasympathetic system to dominate, which then easily carries out the appropriate repairs to the body. Amygdala retraining puts the body into what people call the optimal healing state, where the body is in the best place to return all systems back to normal balance. JG:You mention Martin Pall, PhD’s NO/ONOO theory where levels of nitric oxide become chronically elevated as part of a vicious cycle with these illnesses. Although you don’t believe this is a root cause, you do say it is a secondary cycle that occurs. Would treating the elevated levels of nitric oxide with the supplements recommended by Pall be helpful as an adjunct to your brain retraining program? In other words, would it be advantageous to address those excess levels of nitric oxide nutritionally—would it speed up the recovery process? AG: I don’t know is the honest answer. What I will say is that if you try and correct levels of neurotransmitters, hormones (e.g. by taking hydrocortisone), or other chemicals in the body, in my view the body often compensates for this, making it even more difficult for the body to heal because of its reliance on the external supports. JG: Are you familiar with Ritchie Shoemaker, MD’s work with biotoxin illness, and have you read his groundbreaking book Mold Warriors? In cases of biotoxin illness, there might be damage to the amygdala, but there may also be a genetic susceptibility to neurotoxins from mold, algae, lyme, and other biological substances. If you retrain the brain, would you still need to address the genetic deficiencies by assisting the body to remove mold and other toxins with substances like Cholestyramine? AG: I am not familiar enough with this work to comment. JG: According to Shoemaker’s theory, there is a subset of people with an impaired ability—or complete lack of ability—to make MSH (melanocyte-stimulating hormone), an anti-inflammatory, regulatory hormone produced in the pituitary gland. He says that an MSH deficiency can create “chronic non-restful sleep and increased perception of pain (i.e. chronic fatigue and chronic pain), in addition to other symptoms.” Is it possible that your treatment approach somehow enables the body to produce MSH at a normal level after resetting the amygdala function, even for those who supposedly genetically lack the ability to do so? JG: Does your treatment address auto-immune responses and cytokine storms caused by toxic mold, lyme and other biotoxins? AG: The program allows the body to deal with these issues in the same way that a healthy person would. There are probably many people who are exposed to these things, who never go onto develop a chronic illness, and this may be because their entire system is in a better state of balance to deal with these triggers. That is why stress may well be a risk factor for many illnesses simply because chronic stress/anxiety compromises the effectiveness of many bodily systems. In some studies, people who suffer from anxiety are three times as likely to make use of medical facilities than those who do not. JG: Do you think the toxic overload theory is faulty as a basis for treating full-blown MCS? Might the amygdala be responding or over-responding to toxins that have bio-accumulated and are actually still present in the body (e.g., stealth viruses, mercury poisoning), versus the brain remembering the original trauma of the initiating exposure to those toxins? AG: It could be both. So the amygdala may be sensitive, and the body may be accumulating toxins because of ineffective detoxification functioning, thereby causing a downward spiral. This is how MCS may go from acute to chronic. JG: Do you feel liver-supportive herbs and foods, liver flushes, and the like are unnecessary because once the amygala is healed, the brain will instruct the down-regulated detoxification organs to return to normal functioning? Some with MCS have shown genetically impaired detoxification pathways with testing—how does this fit into your theory? AG: I would need to understand the research further on this so please send me further information. …I have had feedback from pure MCS sufferers who have had their conditions improve, or completely recover. JG: What about people with severe mercury poisoning; after calming the hyperaroused amygdala, wouldn’t they still need to support the body with herbs, supplements and chelating agents to assist the excretion of heavy metals? AG: Maybe they do, we need more research. I have found that the body, when in the right state, can detoxify very powerfully. Once again there are probably many people exposed to heavy metals who do not go onto developing chronic illness. .
JG: That is an interesting viewpoint. It’s certainly very appealing to people like me who have spent many years and thousands of dollars trying to find the right supplements to assist our bodies in detoxifying heavy metals and other toxins, often unsuccessfully. For many of us with MCS who have become universal reactors, your theory of chronic amygdala hyperarousal resonates on a deep level. Do most patients with secondary MCS heal their sensitivities on your program, and have patients with MCS alone or as their primary condition been healed by your program as well? Did they have severe life-altering MCS? AG: Yes, anecdotally I have had feedback from pure MCS sufferers who have had their conditions improve, or completely recover. For people who have MCS in addition to ME/CFS or Fibro, the MCS seems to heal at the same time. There is research showing limbic system and amygdala involvement in MCS. AG: I have had a brief look at these articles, My view is that the insula and the amygdala work together to decide whether something is dangerous or not to the body, and then creates a reaction – so the neurological learning is probably, but not definitely, in the insula and amygdala for MCS. The TILT theory hints at an over-arching mechanism, but not the precise mechanics from what I can tell. The neurological learning is more powerful when the body is under psychological or other distress. But it is not the toxicant which created the MCS purely, it is the toxicant combined with an already sensitised neurological environment which then causes the neurological learning. JG: Miller compares drug/substance addiction with chemical sensitivity, explaining that they are essentially polar opposites, or different manifestations of the same underlying neurological dysfunction. With addiction, the person affected needs more and more of a substance (e.g., cocaine, alcohol) to achieve a pleasant and desired feeling/state. With chemical sensitivity, the person achieves a negative, undesired state/symptom from smaller and smaller amounts of the triggering substance (e.g., formaldehyde, fragrance). WIth both conditions, “sensitization” eventually occurs where they will become reactive/addicted to a slew of related and/or unrelated substances as well. Could this mean that your protocol might be beneficial for those with substance abuse and addiction problems? AG: I probably agree with the underlying rational. And in fact one patient did tell me that he had cured 25 years of smoking addiction using amygdala retraining! Research is showing that addiction rewards pathways conclude in the amygdala, so once again, there could be links here. JG: It definitely seems to be an area that should be explored further. Are there certain individuals that might be better candidates for your program than others – for example, those with neurological symptoms vs. gut or respiratory symptoms? AG: I have found it applying to all ME/CFS and Fibromyalgia subsets, but I am still trying to understand why there are around 10-15% of people who do not benefit at all. I have not found any particular type of pattern as to who benefits and who does not. It seems to be quite individual. JG: I recently read that the pharmaceuticals Neurontin and Lyrica (used to treat fibromyalgia) “block the formation of new brain synapses, drastically reducing the potential for rejuvenating brain plasticity” – maybe this has something to do with it. Have you gotten any feedback that someone has done the program exactly as you instruct them to but received no benefit? Have any participants claimed to been made worse? AG: A minority of patients can sometimes get a slight increase in anxiety at the beginning of retraining because it is something new to do, but this generally fades away as they relax into the program. The program requires a psychological commitment to doing the techniques. If someone is not ready for that, or is overwhelmed with depressive thoughts, that can sometimes stop a person from putting it into practice. Also a person needs forbearance to do it, as there will be ups and downs. Physically, it doesn’t matter what state someone is in. We have had people who’ve been bed bound who have recovered. People can get initial results within days, for some people it takes months. That is why commitment for at least 6 months is important. JG: Will this program work for patients that are lacking focus, concentration, or sharp cognition at the time of the training? AG: To be honest, most patients who use my program have cognitive difficulties so this does not have to be an impediment. JG: When you say that some patients have 100% recovery, what does that mean—are they back to their pre-illness level of functioning, or even better? AG: Yes, many patients reach pre-illness levels of functioning, others feel even healthier after a year or so because they are now looking after their physical, mental and emotional health. I describe a full recovery in the first year of amygdala retraining, as getting to 85 to 100% of pre-illness levels. Why? Because if you get to 85%, you do not in my view have the illness any more, you are simply getting back into normal life. And furthermore, when researchers interview the general population, the general population on average rates itself at around 85-95% of full potential in terms of energy! So that should be the baseline. JG: In your medical paper, you say that “recovery is likely to involve two distinct processes. Firstly symptoms resulting from secondary illnesses such as digestive problems need to be addressed…” Do you address the nutritional aspect of recovery in your DVDs—do you encourage patients to go on a rotational diet to address food allergies or offer any other guidance along these lines? Is this part of the six-month to one year timeframe of your treatment program or will addressing one’s nutritional standing add time to the overall recovery process, and if so, how much time? AG: I have some basic top line nutritional advice, in addition to that which someone might receive from their nutritionist. I actually find that most people, if they have not seen a nutritionist, can recover using my program without needing to see one. Why? Because a nutritionist is addressing the body’s inability to deal with certain difficult foods. But get to the root cause as to why the body can’t deal with these foods, then that is more powerful. Many patients can reintroduce foods back into their diet after retraining with no harmful effects, although I always advise a healthy diet for years after amygdala retraining. JG: You are a trained hypnotist and used some self-hypnosis in your own recovery. However, you are very clear to state on your website that your treatment is not hypnotherapy. Would hypnosis be a helpful adjunct to your program (and if so, why)? What sort of hypnotist should someone look for—would they have to be familiar with your treatment program? AG: No. I have tried hypnosis with ME/CFS patients in the past, but I find NLP much more powerful and direct. That’s why there is no hypnosis or hypnotherapy in my DVD program at all. It certainly could be beneficial to see a hypnotherapist to deal with other stress issues, but it would be good if they are au fait (acquainted with) with my program. JG: You are also very clear in your writings to emphasize that you believe CFS, FMS, MCS and related illnesses are real physical conditions with real physical symptoms, and are not psychosomatic in origin. I strongly agree with that position. But you utilize neuro-linguistic programming (NLP) in your treatment program, a widely accepted mainstream treatment, which makes your approach appear to be a cognitive behavioral therapy (CBT). Basic descriptions of NLP remind us of The Secret‘s message: you are what you think; you can manifest your destiny with your thoughts and words. On the surface, these seem to be contradictory stances. Can you explain why they are not and why your approach is not cognitive behavioral therapy? AG: Amygdala Retraining is very different to CBT or positive thinking. In fact many of my patients have already had CBT and can testify to how different it is. And furthermore although I utilize NLP within my treatments, NLP can be used for a variety of other things including “positive thinking”, so NLP itself has a vast range of uses. CBT tries to change your thinking. Amygdala Retraining is consistently rewiring the unconscious brain to stop an unconscious reaction. So it is with Amygdala Retraining. Amygdala retraining certainly is easier with a positive state of mind, just like it would be easier to learn to drive a car if you come at it with a positive state of mind. But it is the brain retraining, rewiring, which actually makes the difference. JG: That’s a great analogy. Not to bash The Secret, but it and other similar publications recently embraced by many have legitimately angered chronically ill patients who have been marginalized and stigmatized by mainstream medicine and possibly the majority of our culture that believe that invisible illnesses and disabilities are “all in our head” or label them as phobias, OCD, or anxiety disorders. How can you help people interested in trying your program understand that even though you believe these illnesses have physical causes, the treatment falls outside traditional medical interventions (like drug therapy) and might appear to be a cognitive behavioral therapy, when it is not? AG: Well it is hard to get people out of the either-or mentality, either it’s physical or it’s mental. Actually all physical illnesses have mental/emotional components, and all mental/emotional illnesses have physical components. For instance rates of cancer improvement can be related in some studies to levels of care of the emotional side. So it is realizing that these disorders are in the programming of the brain, the software, and that that software can be retrained using novel techniques. That does not make it a psychological disorder. JG: You talk about the cycle of the brain and body overreacting to perceived threats. To an outside observer not sympathetic to those suffering from invisible illnesses, this idea could reinforce the assertion that we are all hypochondriacs, merely exaggerating our symptoms. How can we allay this damaging assumption when explaining your protocol to others? AG: This is all happening unconsciously, deep in the limbic system of the brain that we normally have no control over – therefore the patient is not involved in the process. My recovery is permanent and has been for many years…I can do anything I want, and I have more energy than I did before I got ill.
JG: How long did it take you to regain your ability to function in the “real world” once you determined how to retrain your own brain – were there any stumbling blocks? AG: My process was rather ad-hoc, I was experimenting. Yes, there were stumbling blocks and ups and downs, but if I had known then what I know now, I realise I could have recovered quite quickly. JG: Do you still need to do daily exercises in order to maintain the level of recovery you have achieved—or do you ever have periods of reappearance of symptoms where you have to repeat a course of the exercises? AG: My recovery is permanent and has been for many years. I jog for 20-30 minutes 5 times a week, I can do anything I want, and I have more energy than I did before I got ill.
JG: How long have you been treating patients in your clinic, and what is your success rate? AG: I have been treating patients for around 10 years. The success rate was measured by a recent clinical audit of 33 patients who were offered the treatment for free. They on average had had the illness for 10.5 years between them. After one year, 67% of patients reached a full recovery, and over 90% of patients made improvement. The paper has been accepted after peer review, and will be published soon. JG: Since you are not an MD, was it difficult to attract patients initially or have your work legitimized? AG: Yes, although it has mainly spread through word of mouth. JG: How did you get your medical paper published in a peer reviewed medical journal? It seems like quite a professional accomplishment. How did you gain enough credibility or recognition to make it possible? AG: The paper was sent through with the normal peer review process, and accepted first time without any edits. JG: Your medical paper was published in 2002. It’s now 2009. Some might say that if your program was truly healing people, that a lot more people would know about it and be using it by now. Can you talk about how your paper was received, and what some of the obstacles to spreading the word about your treatment program have been? Why would you say seven years have passed since you first publicized your theory and your program has not “caught on” with a larger percentage of the patient population? AG: The paper was published in 2002, but I was still working on refining the therapies until they were as powerful as possible. I was treating patients one-on-one at my clinic, so only a limited number could come and see me. I felt I reached the right stage in 2006, where I then started my clinical audit, and published my therapies in 2007 in DVD format once they were ready. It took nearly 2 years to put the DVD together. JG: Was the medical study you did based on the DVD program or in-house patient treatments? AG: It was based on in-house treatment, which is exactly the same as what is on the DVDs. JG: What year did the DVDs first become available and what do they contain? AG: The DVDs were published in winter 2007, and they contain 12 interactive video sessions, over 12 hours of video. They are like coming to see me at the clinic. They contain an explanation of the hypothesis, as well as all the treatments and therapies. JG: What exactly is an “Amygdala Retraining™ Mind Map,” one of the tools in your DVD kit? AG: This is the 7 step process used to retrain the amygdala, and it is a map of the mind upon which these 7 steps are carried out. JG: Your YouTube.com videos devote a great deal of discussion to explaining the brain science (in laymen’s terms) behind your program. Do you feel that providing this information to the users can help them embrace the program—that without understanding the basic science, the exercises might otherwise seem too simplistic? AG: Some people need the intellectual confirmation, some do not! Yes, it does help people embrace the tools because they then understand the neurology behind it. JG: Why is your program more effective than simply using meditation or visualization? Couldn’t the downregulating effect of any mediation practice or relaxing activity, for that matter, heal us? AG: Meditation and visualization are not the main parts of the program, they are supporting tools, which in themselves have been tailored to ME/CFS and Fibro. Many people comment that they have tried these things before, but the audio CD in the pack really helped them relax much deeper than before, because it is a guided set of meditations. JG: Is it likely that those who become chronically ill with one of these hyper-aroused amygdala conditions had a less developed prefrontal cortex to begin with than the average population? AG: Not sure. The volume of areas of the pre-frontal cortex in themselves can vary depending on certain factors, so it is dynamic. JG: Are those who have a serious, long-term meditation practice—Tibetan monks for example—much less likely to fall ill with one of these types of illnesses even when exposed to the same initiating viral, bacterial, or other trauma because meditation develops the prefrontal cortex, which in turn can mediate the amygdala? AG: As mentioned, traumas can occur due to acute incidences, so long term meditation practice can help prevent traumas, but does not exclude their possibility. JG: Does your DVD program consist of computer-based exercises—for those with electrical and/or chemical sensitivities that preclude them from using a computer or DVD player, can they still use the program if they have someone else to explain the exercises or assist them in a hands-on way? AG: There are no computer based exercises, so the DVDs can be watched on a normal DVD player. The DVD also comes with a book that contains the full transcript of the DVDs, which provides another option to access the information. For those with extreme chemical sensitivities who cannot access the DVD or the book, someone else could explain the tools. JG: That’s important, because those with MCS that need it most will not be able to access the book or DVD. Ideally, how often must one do the exercises in order to optimize results? JG: Are there different exercises depending on the illness—or is the program a one-size-fits-all, offering the same approach whether you have chemical sensitivities, or chronic fatigue syndrome, or fibromyalgia because they are all essentially caused by the same thing, a hyper-aroused amygdala? AG: They are basically the same, although there are slight tweaks based on the specific condition. For example, MCS patients receive a set of specific visualization exercises that the CFS and other patients do not. JG: If, due to illness, one could not complete the program as detailed but instead did the exercises as often as they could, possibly every few months or even over several years, would that still be effective? AG: No, it requires consistency and regular retraining over a period of time. Periodic retraining is unlikely to have the same effect. JG: Are there certain symptoms that seem to be alleviated earlier in the program (e.g, energy levels, sleep patterns) and others that usually take longer to release (e.g., chemical sensitivities, pain, digestive)? AG: There is no pattern I have observed, generally all symptoms alleviate over time. JG: How does one order the DVD? How much does it cost? AG: The DVD can be ordered over the internet at guptaprogram.com* or by calling +44 845 475 1 475 during UK office hours. It is currently being offered at the introductory price of UK £95 (£145 normal price) | Europe €140 (€225 normal price) | US $190 ($290 normal price). JG: What if I purchase the DVD and do the exercises as prescribed for six months but it doesn’t work, what next for me? AG: I would recommend having follow-up coaching sessions with one of our practitioners to iron out any issues, and to magnify the power of the program. JG: Do you offer a money back guarantee? If so, what are the terms? AG: The program can be returned after 6 months, and for up to a year from purchase. The whole program has to be returned. JG: Do you offer the program in-house at your clinic, for those living in or near London? Is that preferable to using the DVD? Do you know whether American insurance providers cover the treatment, or if it can be written off on your tax return as a medical expense? AG: Yes, we do offer in-house treatment with one of our practitioners, in association with the DVD. But a similar effect can be gained by using the program first, and then having sessions afterwards by phone or face to face. I do not believe it is covered by insurers currently, or is likely to be in the near future until we have full clinical trial results. JG: Can we expect a book from you detailing your treatment approach in the near future? AG: I do not plan to write a book, as what matters is getting people better, and the DVD program is much better than a book. JG: Thanks so much for your time Ashok, this was a very long interview and we appreciate the effort you took to answer all of our questions. You have really done an outstanding job of presenting your work in a way that the medical world and patient populations can embrace it. I wish you great success and I look forward to my own recovery—I’ve been doing your program for several months and noticing positive changes! 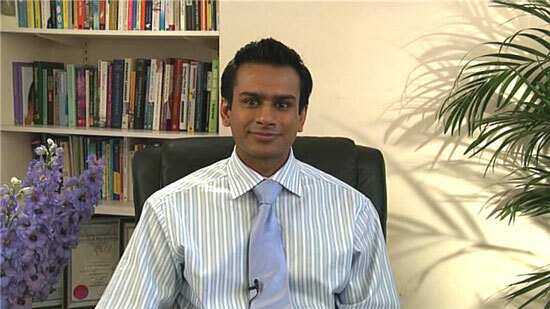 Find out more about Ashok Gupta’s Amygdala Retraining™ Programme by visiting his website at guptaprogram.com*. For those who are currently retraining their brain with Ashok’s DVD program and are looking for additional support, please join our Gupta Amygdala Retraining™ Support Group. For a review of my own personal experience with Ashok Gupta’s Amygdala Retraining™ Programme, stay tuned to Planet Thrive. Note: This information has not been evaluated by the FDA. It is for general information only, and is not meant to diagnose, prevent, treat or cure any illness, condition, or disease. Neither Planet Thrive nor Julie Genser are suggesting this is a treatment for the illnesses mentioned above, we are merely presenting Ashok Gupta’s claims for the reader to explore further. We recommend reading The Brain That Changes Itself by Norman Doidge, MD and Joseph Le Doux’s The Emotional Brain if you are interested in learning more about the amygdala and brain plasticity. Ashok Gupta photos: © Ashok Gupta, reprinted with permission. Thank you to Julie Laffin for your assistance and support with this interview. Julie Genser is a survivor of mercury and arsenic poisoning, chemical injury, mold-related illness, and lyme disease. She is the founder of PlanetThrive.com, a hip, rockin’ community that aims to empower others healing from environmental illnesses with the information, resources, and support necessary to create change in their world. Matthew Hogg at EI-Resource just published an old paper of Gunnar Heuser, MD’s titled The Role of the Brain and Mast Cells in MCS (Multiple Chemical Sensitivity) which touches on the amygdala and is an interesting read in relation to Ashok’s theory. thank you so much Julie and Ashok for doing this. so many of my questions were answered here! I’ve just been reading this interview for the first time in April, 2014. As other folks have said, what a great piece of work! Wondering how things are going for you now, and your perspective on the Gupta program at this point? Acquaintances have recently had good success with Annie Hopper’s program, and I’m looking at both. Fascinating material, all the way around.